One of the first disappointments a beginner aquarist will face is the realization you can’t simply buy a tank, install a filter, fill it with water and put your fish in all on the same day. You have to do this thing first called ‘cycling’. Even worse, the process can take weeks! Talk about taking the instant gratification out of something. In this article, we’ll first take a look at what cycling a tank means, including a bit of the science behind it. Then we’ll discuss the different methods, and give you some useful shortcuts so you’ll know exactly all the steps for how to cycle a fish tank in the most efficient and effective way. Finally, we’ll talk about monitoring the cycle and making sure it doesn’t crash during cleaning and water changes. What Does It Mean To Cycle A Fish Tank? Why Do We Need To Do It? Fish tank cycling is described in many different ways, such as; Breaking in; the Nitrogen cycle; nitrification; or quite simply ‘cycling’ – whatever name you choose to use, every new aquarium has to go through a process of forming friendly bacterial colonies. Simply put, cycling a tank means allowing the proper beneficial bacteria to grow so they can safely deal with the waste your fish produce. It includes fish, snails, and any other organism you have living in the tank and the bigger your bio-load, the more filtration you will need. Waste can also build up from uneaten food rotting on the bottom or that’s settled in the substrate. Rotting leaves can also contribute, or a possible dead fish hiding in the background. Anything that can rot will speed the buildup of waste. In the closed environment of an aquarium, this biological waste remains in the water and if left unchecked it wouldn’t take long for your tank to turn into a highly toxic cesspool. When waste in your fish tank starts to rot, it produces toxic ammonia (NH3, NH4). Even at very low levels, ammonia is highly toxic to fish. It can cause lethargy, gasping at the surface, loss of appetite, and at extreme levels cause visible burns and lesions on the fish. Basically, it’s very bad for their health so needs removing, and this is where cycling an aquarium starts and helps. Fortunately for us, colonies of highly beneficial nitrifying bacteria almost immediately begin to form in the tank. Nitrosomonas bacteria grow that soon get to work converting ammonia by way of oxidation to the less harmful nitrites, and so the tank cycle begins. Nitrites (NO2), although less harmful than ammonia, are still highly toxic and very dangerous to fish, especially if in relatively high concentration. Luckily for us, a second friendly bacteria, the Nitrobacter (or Nitrospira) bacteria comes along and converts the nitrites to nitrates (NO3). Notice the difference in the ‘i’ and the ‘a’, nitr-i-tes and nitr-a-tes. Nitrates are largely harmless in the aquarium until reaching relatively high quantities. So now our fish have nice, clean water to swim in! So, the point of a good tank cycling process is to ensure there is enough beneficial bacteria to continuously convert the ammonia to nitrite and then to nitrate. This way our beloved fish will always have clean and safe water to live in. We’ll go through several methods below and give our tips and recommendations. Beneficial bacteria grow on every surface area of a tank: Rocks, sand, glass, plants, you name it. The reason we use sponges or ceramic media in filters is to provide as much surface area as possible in this small package. Any filter media that has been running for months is considered “mature,” meaning it contains lots and lots of this bacteria we’re so interested in. So, want to know how to cycle an aquarium in the absolutely best, easiest and quickest possible way? It’s to introduce mature filter media into your new tank. If you can find a friend or even a friendly live fish store, try to talk them out of some of their filter media, put this old piece of sponge into your new filter, and there you go. You have a ready-to-rock tank. That bacteria will quickly spread to your new media and from there, begin quickly working it’s way around the rest of the tank, and the aquarium cycle begins. Just be sure there is physical contact between the old and new media, as very little of the bacteria is free-floating. Also be sure to keep up on your water changes. If your bio-load is too high, you can still overwhelm the growing bacteria colony. Simply take your friend’s mature sponge and squeeze it out into your tank. It will leave a nasty looking cloud of gunk, but all that gunk will get sucked into your new filter. This gunk is covered in bacteria and will help jump-start your cycle. It also spreads the bacteria around the tank. Don’t worry about the unsightly gunk or clouding of the water, this can be dealt with later when you do a water change. Unfortunately, not much comes out after a good squeezing because the friendly bacteria we’re after glues itself to filter media. However, some does get squeezed out and this method is still useful and better than not doing so. It WILL speed things up. The main disadvantage of this method is you risk introducing pathogens into your new tank. Be sure the filter squeezins is coming from a source you trust. We prefer to see the source aquarium first. If it is a long-standing tank with lots of happy fish, you’re probably in the clear. This meant that you set up a brand new, uncycled tank, and put several fish in right away. These fish produce the ammonia needed to get the cycle going simply by being present. The problem with this method of cycling with fish is that it’s undeniably cruel. These fish will spend time in a high-ammonia environment and might not survive the experience. They produce ammonia faster than the bacteria can grow, so they will have to live through an ammonia spike and a nitrite spike. You will need very hardy, inexpensive fish you don’t care about. We cannot in good conscience endorse this method, but it’s included here for the sake of completeness. Since ammonia is the necessary ingredient to start this cycle, you can introduce it directly in a number of ways. Keep in mind all of these methods may take anywhere from 2-4 weeks to complete and continual testing of the nitrite and ammonia levels is necessary (we’ll get into testing in a bit). An increasingly popular method is to use household ammonia, the kind that can be purchased at any grocery store. It is VITAL that this be clear, unscented, 100% pure ammonia. 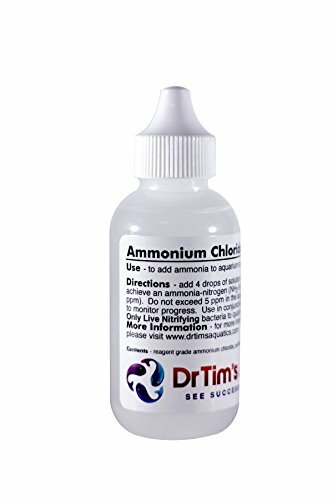 Add a few drops to your tank until your ammonia test reads high levels. Then let it sit for a few days until the ammonia levels drop again, then add a few more drops. Continue this routine until the tank reads “safe” after only 8-10 hours. If you are also reading 0 nitrites, you are good to go. Keep in mind this method may take anywhere from 2-4 weeks before perfect conditions can be reached. Patience is a virtue! The downside of this method is the need to be adding more ammonia every day, sometimes twice a day. It’s a very hands-on approach. OK, this one sounds a little strange. Let’s go back and remember that a big source of waste in any aquarium is rotting food, plant matter, etc. That means if you let something rot in an empty tank, the result is it will produce the necessary ammonia. A common method is simply to use fish food. Feed the tank every day as if there were fish in it. The food will fall to the bottom and rot. This is another fairly hands-on method, as you are adding food to the tank every day. Another method that has worked for us in the past is to use a cocktail shrimp. Simply toss one raw cocktail shrimp into the tank per 10 gallons of water. It will go all moldy and gross looking, but that just shows that it’s doing what you want. With either of these methods, keep testing that aquarium water. Once the parameters have stabilized, you know it’s ready. There are a number of aquarium supply companies who sell a solution they claim to be a cycle in a bottle. Supposedly this bottle contains all the necessary bacteria to jump-start the cycle. Simply dump the bottle into the tank, add fish, and away you go. However, I keep reading that the necessary bacteria have a very short ‘shelf life’ and it’s close to impossible to keep them alive in a bottle on the shelf. For this reason, the aquarium world still seems to be in hot debate as to whether this works. But the product keeps selling, so people must be having success with it. Also, Dr Tim Hovanec did some in depth research into the nitrifying bacteria in aquariums and came up with results that shocked the fish keeping world. From his research, he also developed a new ‘cycle in a bottle’ solution, called ‘BIO-spira’, that later became ‘Tetra SafeStart’ and that has many, many stories of fish keepers having great success with. We’ve never tried it ourselves, so we can’t offer a factual opinion. If you try this method, we recommend you keep a close eye on the Ammonia levels. Be ready to jump in with a big water change if necessary. And let us know in the comments how it works out for you! We keep mentioning testing the water for ammonia and nitrites. How does one go about keeping an eye on these toxins in the tank? 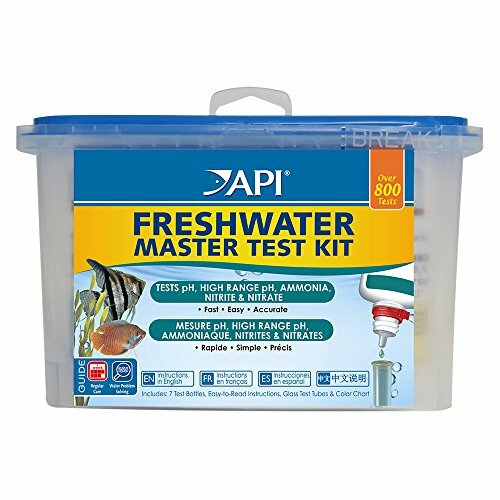 Most experienced aquarists agree that the liquid drops are the most reliable test kit. API makes an excellent kit, as does Hagan. You can buy each individual tester, or simply grab the complete setup. It will include PH, GH, KH, and a bunch of other letters. You simply take a few ml of your tank water, add a few drops, shake and wait, then are told exactly what chemicals there are in your water by the color that the water changes to. It couldn’t be easier…or more accurate! 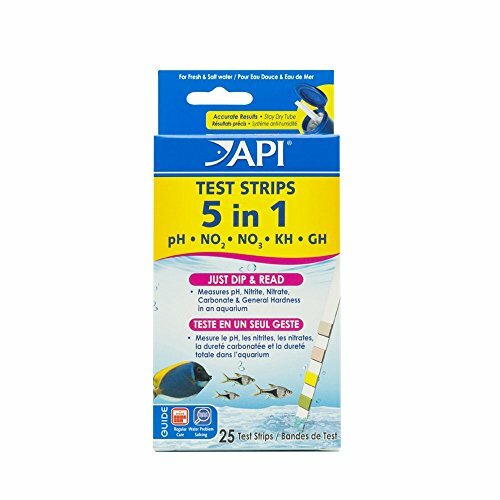 A very commonly used test kit is simply a series of paper strips. To use them, you dip them in the water, the paper changes color, and then you compare the color change to a chart on the box. Test strips are available to test for one specific chemical (e.g. Ammonia, or Nitrites) but they also come in combination strips that can test for multiple chemicals all on one strip. We recommend these combination strips if you’re going to use any (though we recommend drops as a preference) because they’re more convenient and can save a little time. Test strips work for a quick glance, but do not offer quite the accuracy of the liquid drops. However, they are the simplest and easiest to use. There is a kind of tester that lives in the water, changing color as the Ammonia and Nitrite levels rise and drop. If you want to get super technical, you can even buy computer controlled sensors that measure the levels and can graph it for you. Options abound, but we recommend you start with the liquid drops. They are time-tested and highly reliable. Plus they’re a fun bit of home chemistry, with changing colors as exciting as any movie science laboratory. Water changes are one of the best and most important habits to get into when keeping fish. If you have an unexpected ammonia or nitrite spike, a quick 50% water change is always the first step. Simply keeping up on regular weekly ~40% water changes can help keep a cycle stable and happy. This guide should help you to set up a happy and long-lasting aquarium, cycled correctly and with stable colonies of nitrifying bacteria that will keep your water quality under control. Once you understand a bit of the science and biology behind what we do, you will have a much better chance of maintaining a healthy and stable environment for your aquatic friends. So now you know how to cycle a fish tank, have at it and create a chemically stable, clean and healthy environment for all your aquatic friends.